Okay, we all know that becoming prince and protector of Wakanda is no simple task. The title comes with a whole lot of responsibility. The world is a complicated place right now. It's not any wonder that Wakanda would get thrown into the mix sooner or later. Do you think you have what it takes to bring peace, understanding, and justice to the world? Okay, well maybe that's a tall order if catlike reflexes aren't handed down to you from ancient generations. Maybe we should think of something a little more simple that doesn't require vibranium. Maybe you think you could simply rock the Black Panther confidence and dignity. 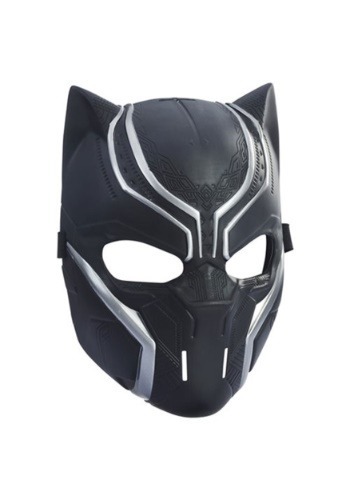 Lucky for you, there's no need to be born into a royal family to get the powerful look we've all come to love, simply throw on the Black Panther mask and see what happens. 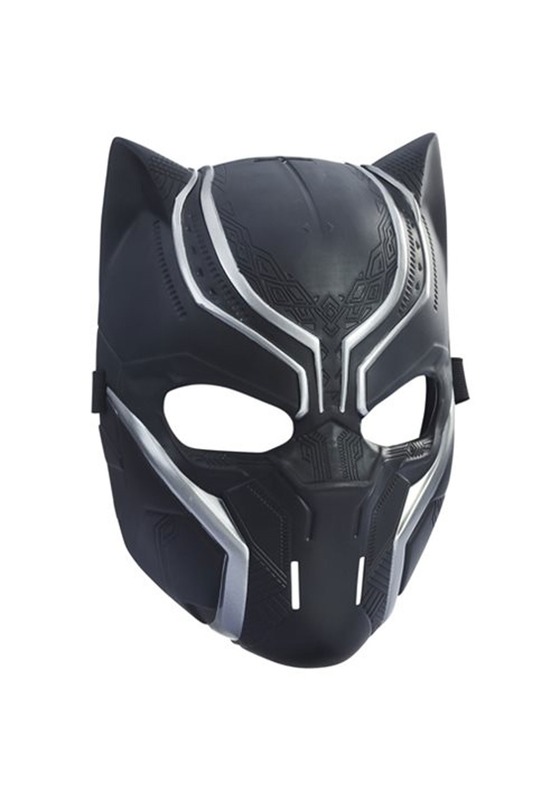 This black and silver mask has subtle details throughout. The forehead has scrolling geometric pattern over the eyebrows, under the eyes, and under the silver sculpted cheekbones. It has wide eyes and two mouth holes so that you'll be able to wear your mask comfortably. So, whether you're looking to right the world's wrongs or you simply want an awesome costume, this mask is a great start. While still keeping it simple you can easily top your outfit off with clawed gloves and the silver clawed necklace. However you put together your outfit, you're sure to ignite calls of, "Wakanda forever!"